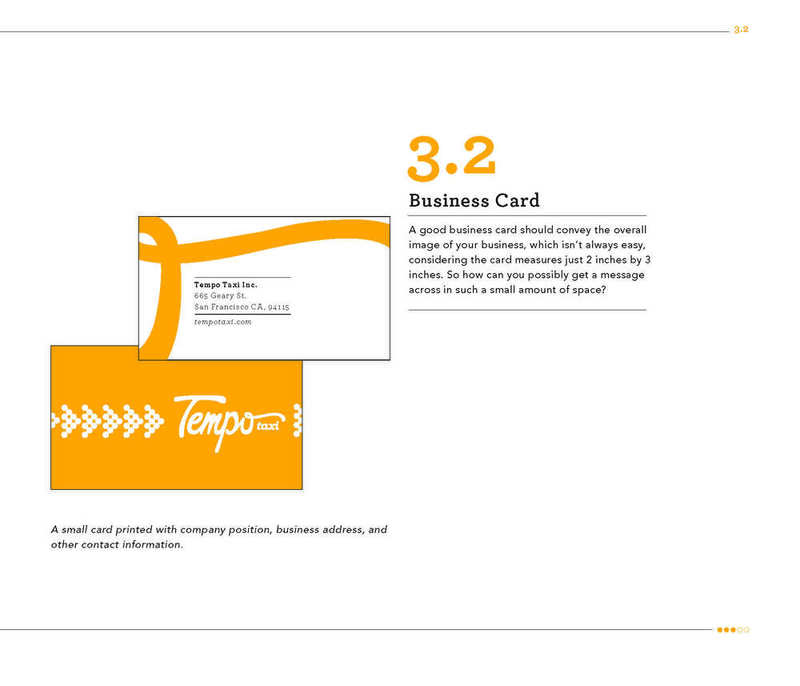 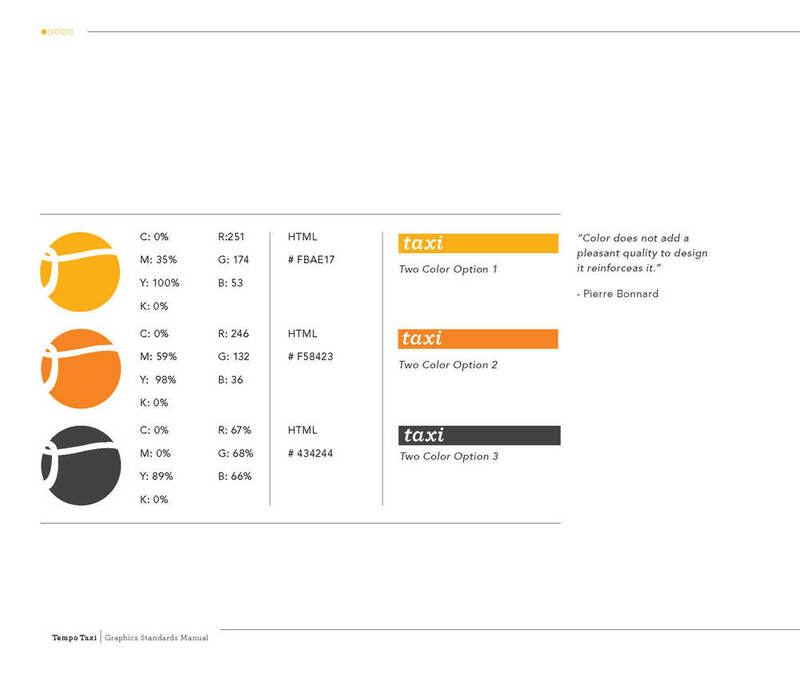 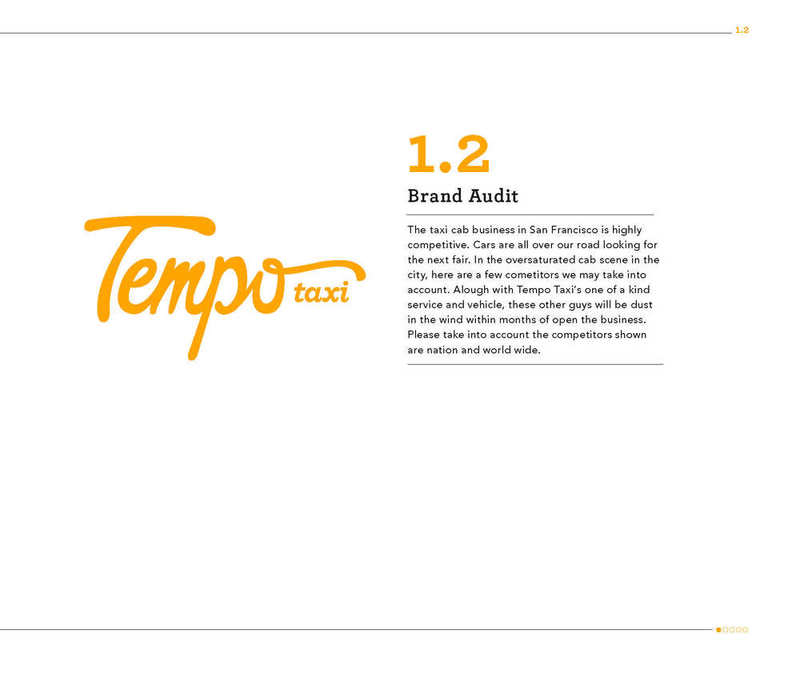 The creation of a new Taxi Cab Company, and also create a graphic standards manual to accommodate. 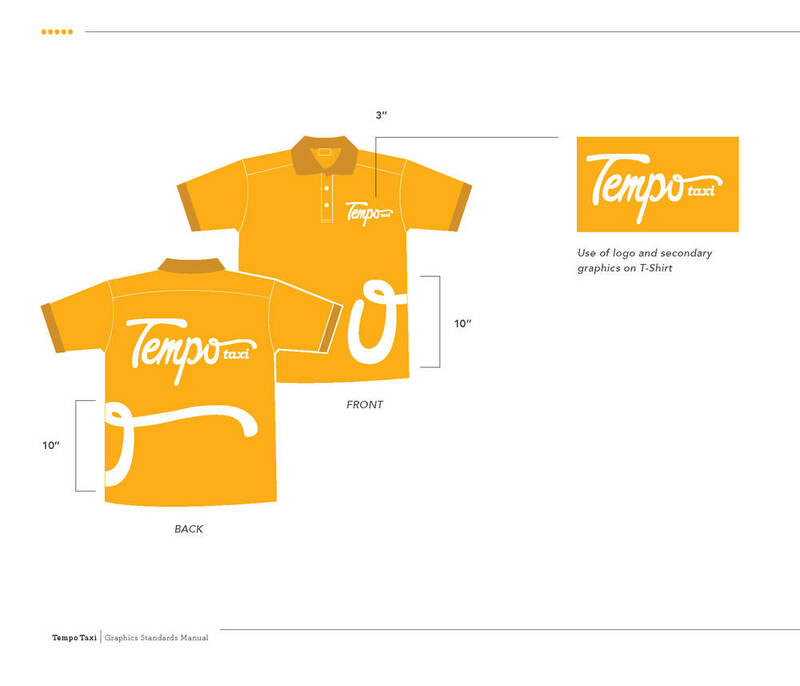 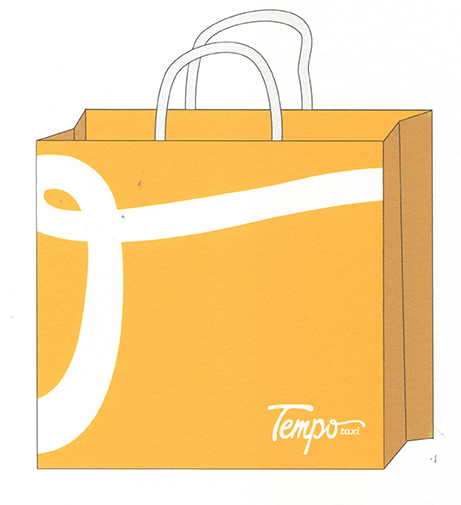 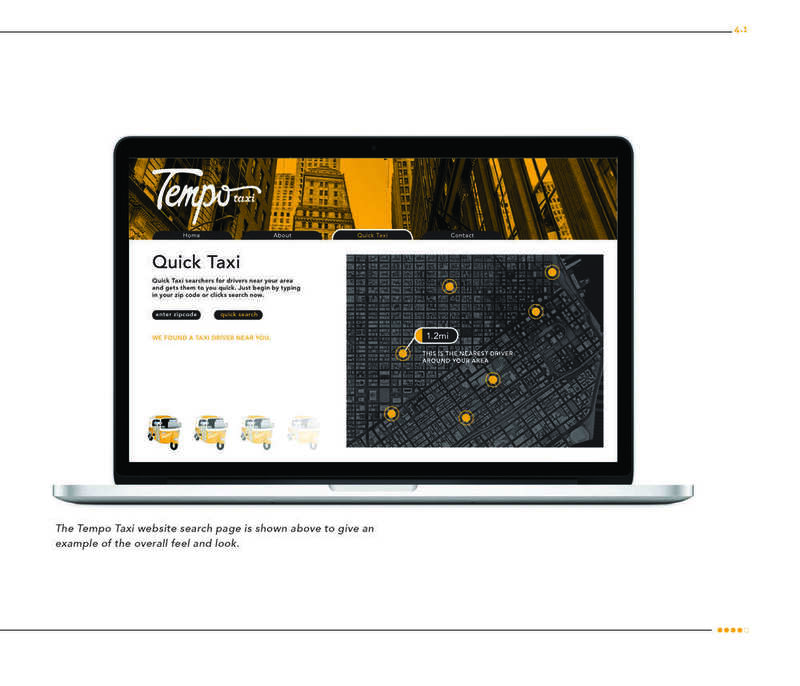 Tempo Taxi is a made up company I thought of based around a unique method of transpiration. 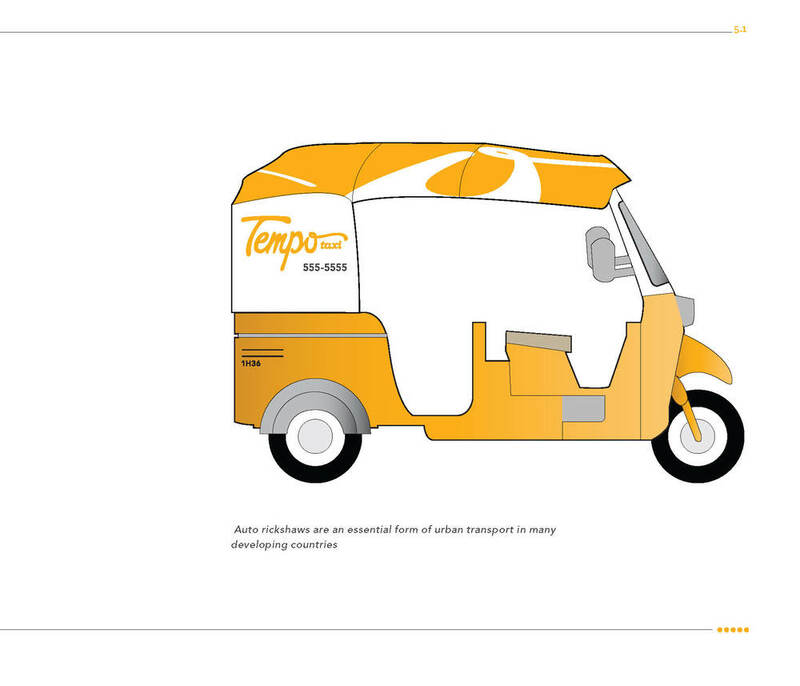 Found in other countries and now introducing it to the U.S. the three wheeled Tempo Taxi Company. 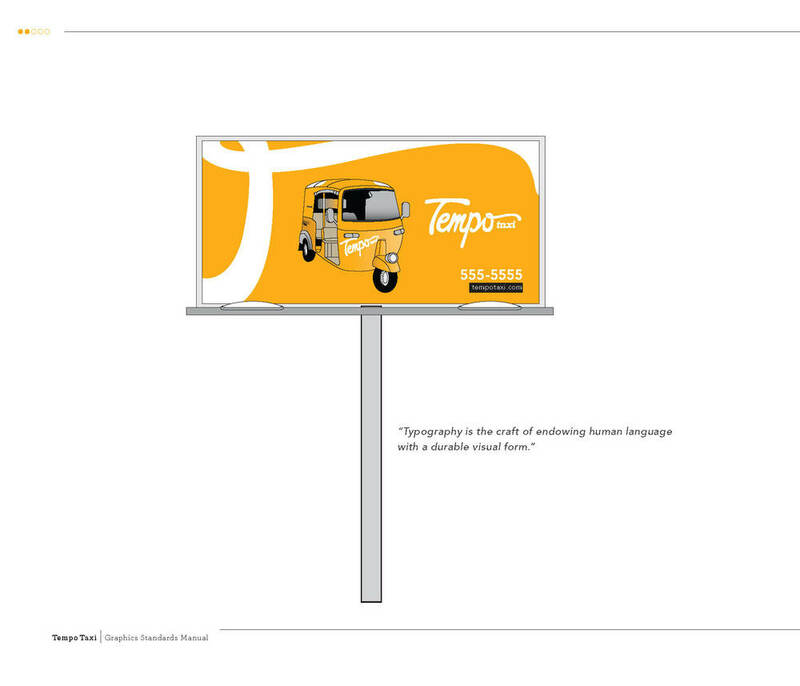 The concept it based around the three wheeled “Tuk Tuk” taxi cabs found in Asia. 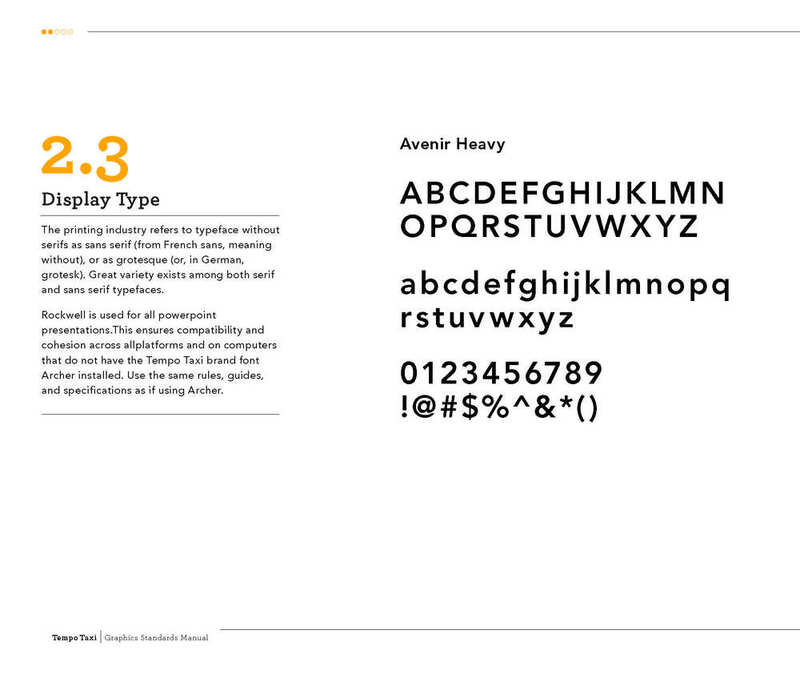 An updated and hip version being introduced to the larger, commuter heavy cities in the USA. 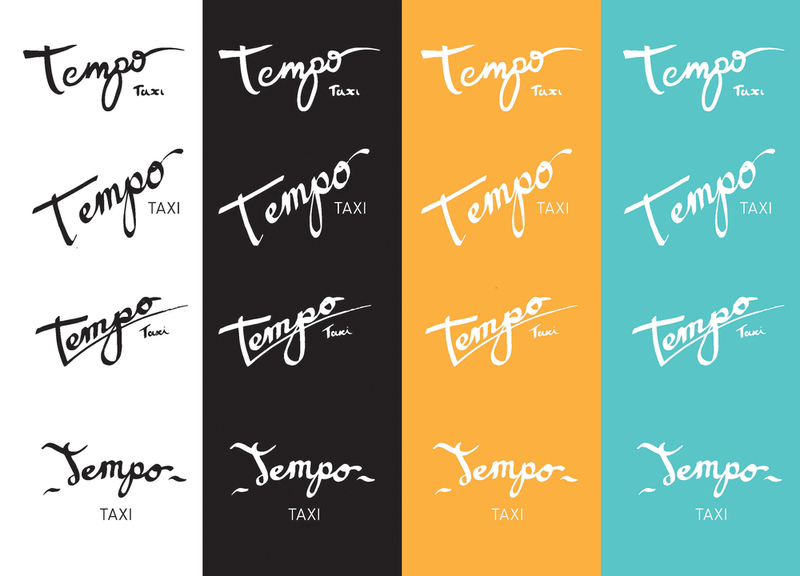 Tempo Taxi is an affordable and hip new method of transportation, and the graphic standards manual shows that personality in its design.